Looking for accommodation for 10 or more rooms? 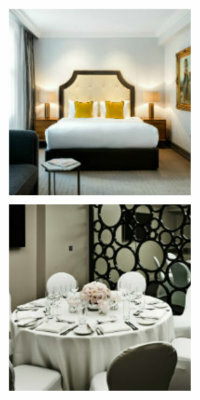 Then book and save with Radisson Blu Edwardian Hotels. Radisson Blu Edwardian, London hotels are ideal for group travel, with a choice of 4 and 5-star hotels in the heart of London, Heathrow and Manchester. All our central London hotels are located close to the city's main business districts, attractions, theatres, and stores to ensure that you make the most of your trip to the capital. We can provide priority group check-in and can arrange special weekend conference rates, group meals, theatre tickets and any other requirements you may have (subject to availability). Fill in our simple form below to check availability and to receive a quote. Enter your contact information so we can reach you regarding your event request. Enter your preferred destination and/or hotel. Select the event or promotion type that applies. Will your group require room reservations? Enter special instructions or requests here.